Want to Learn How to Code? Looking for some online stuff, tutorials and websites? Your search is over now as we have listed 20 best resources that helps you to learn coding at home without attending classes. Learning coding is one of the most satisfying things for those people, who can ever do. If you are developer or designer, you will understand how learning coding create beautiful stuff for you. Moreover, if you are thinking to start development from starting to end, you can do easier for being technical person. If you want to learn web technologies, Code School is best for you as it taught video lessons, coding challenges, and screencasts in the comfort of your browser. Learning through Code School is done by combining video, Gamification, and coding in the browser. CodePen is best to create a reduced test case to demonstrate and figure out a bug. It is a playground for the front end side of the web. The best thing is it shows you your latest creation and gives feedback from your peers. HTMl5rocks is one-stop destination to learn HTML coding and implement it into your project. It provides you lots of tutorials that help you in your development task. 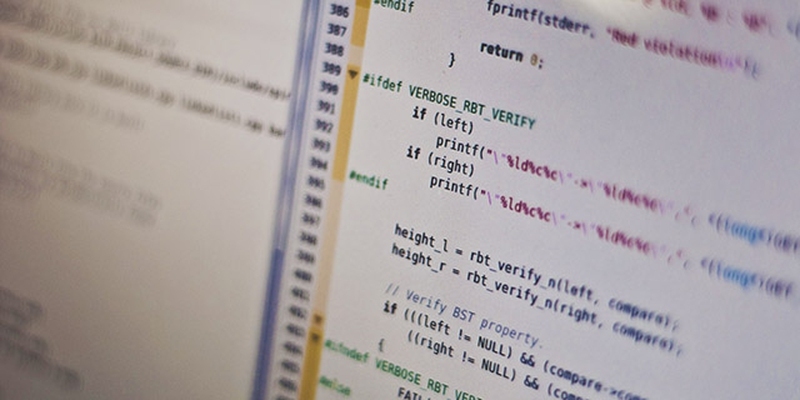 Coursera is one of the most recommended online free courses providers for programmers. This online provider has about 625 courses to learn how to code easily in C++, C#, Python, Java, or Ruby. Udemy is the best instructor for programmers to learn how to code. On this site developers can get a lots of courses for learn and get knowledge improve. CoderDojo gives opportunity to programmers about how to learn code. In order to take advantages of this opportunity, you have to join the community for free and start code with Dojo. Want to explore more than 40 Lac projects? Must visit Scratch as it is one of the best learning communities that allow you to create animations, stories, games, etc. and can also share it with your friends. The New Boston is a video sharing sites especially designed for developers. Here, developers can find all the videos/tutorials related to their favorite topics as C++, Java, Ajax, Python, PHP, Ruby and many more technologies that they wanted to learn. Cargo-Bot helps you to write programs to control a robotic arm. It has the robot move crates into the configuration that is available on the top of the screen. A six-level tutorial is available to get familiar with the controls and features. Light-bot is one of the interesting puzzles that teach kids the concept that used in computer programming. Such type of programming app is created by an undergraduate student, who has coding since childhood. The combination of an online webpage editor and set of remixable projects, Thimble help kids to learn writing the Web as it shows kids to changes that made in webpages. Thimble is one of the greatest ways to learn code, web design, and problem-solving skills. CodeHS is another website that has puzzles, programming lessons, and challenges for teens to learn write and use code. Even, they can watch short videos that explain designing concept and other related things. Different types of courses related engineering and computer science are available in MIT Open Course Ware. It gives you free resources like design and analysis algorithms, exams, assignments, etc. Hopscotch HD allows learning the fundamentals of computer programming on a mobile device to Kids. Students can easily create games, animations, fun messages, etc. by using visual blocks that represent programming concepts. Learneroo helps you to get knowledge about programming with Java and new skills by solving challenges to learn some basic of Java coding with loops, Array, variables, and strings. These are 20 interesting resources that help people to learn coding with an ease. If you want to know more about how to code or have some query, then ask us through comment.